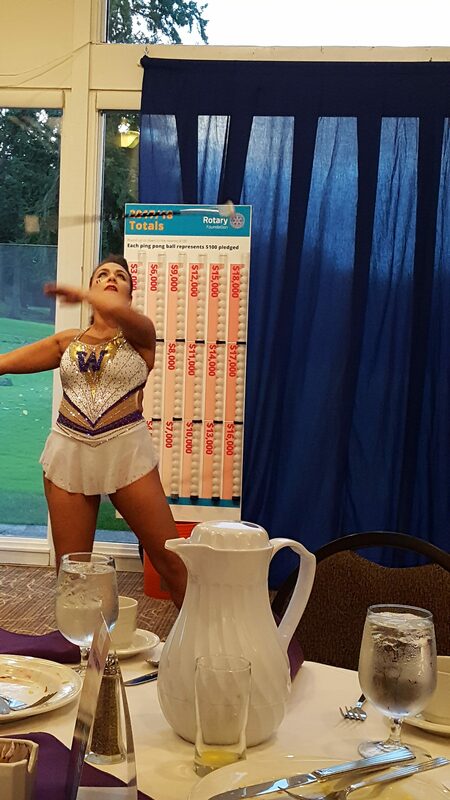 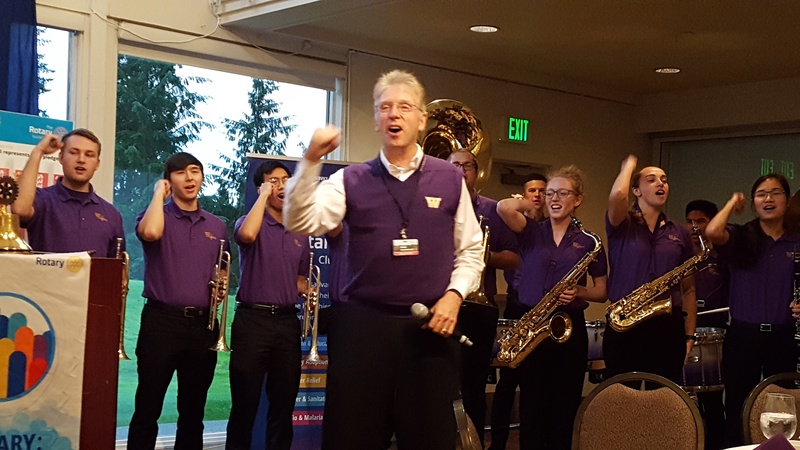 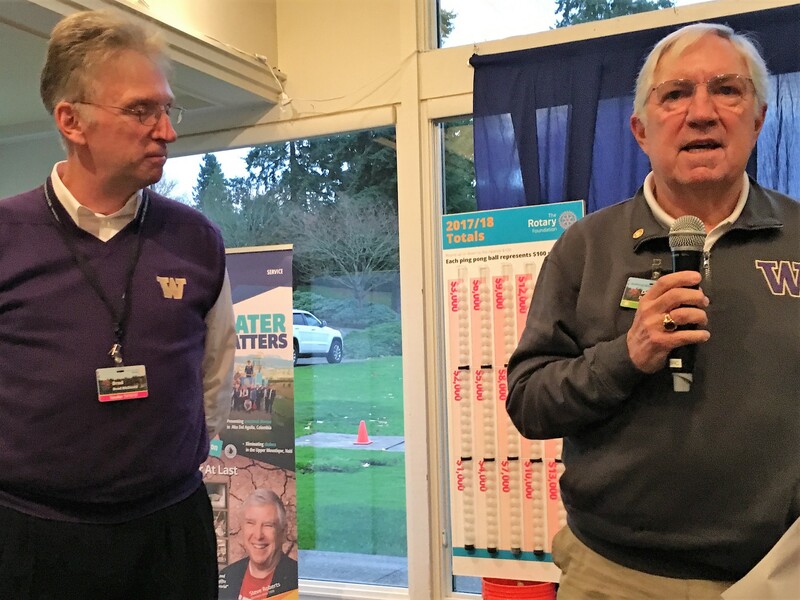 Dr. Brad McDavid is in his 23rd year as Director of Athletic Bands at the University of Washington. 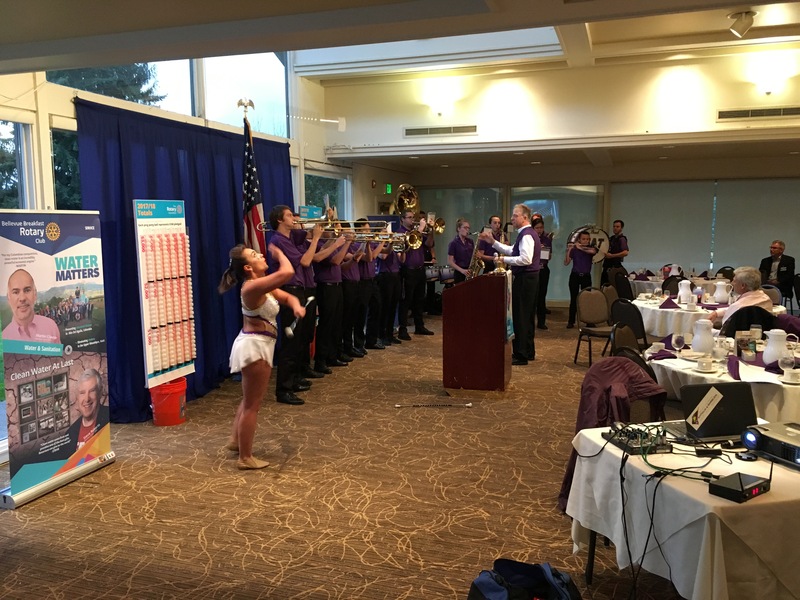 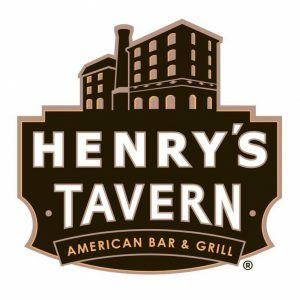 His primary duties as director of the 240-member Husky Marching Band includes principal field conductor, show coordinator, and program administrator. 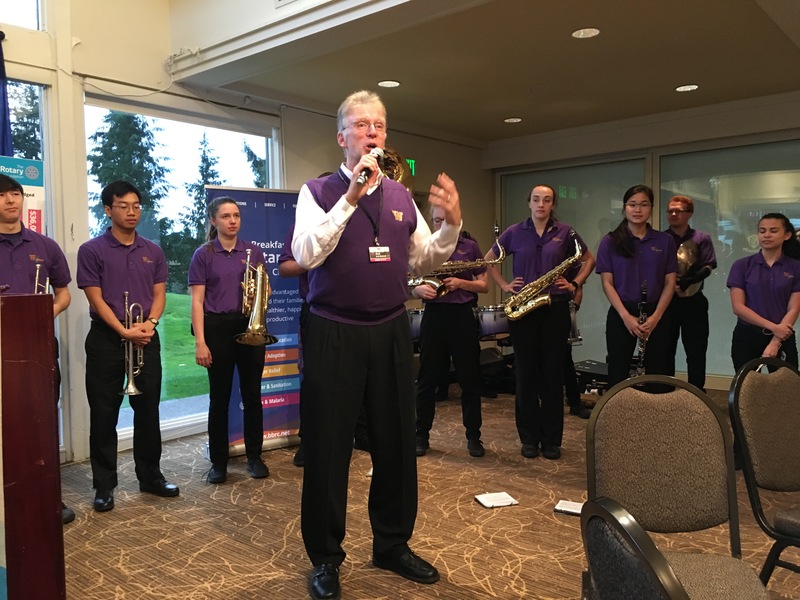 Brad is in demand as a clinician, adjudicator and guest conductor and has led the Husky Marching Band on performance tours of Australia, China, Scandinavia, Japan, France and Italy. 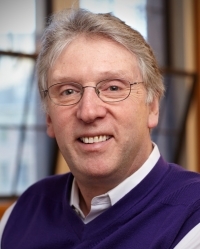 In 2008 he was selected to serve as the head artistic director for the 1700 member international Beijing Olympic Orchestra. 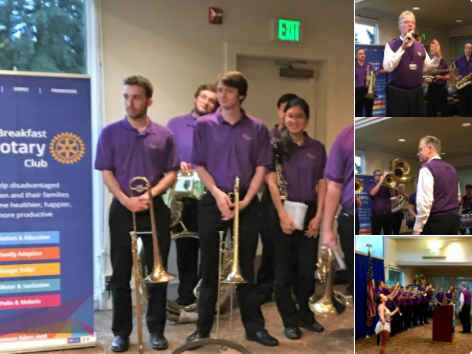 In May of 2015, Brad was also selected by the Kansai Bandmaster’s Association to conduct a 7,300 member mass marching band in Osaka, Japan. 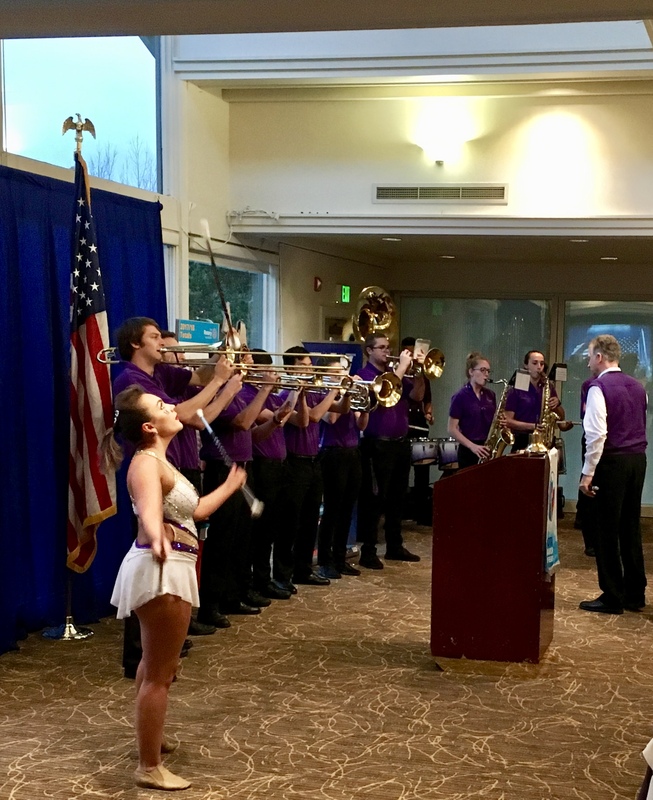 Dr. McDavid is currently on the selection committees for the John Philip Sousa Foundation’s Sudler Shield and Sudler Trophy awards recognizing outstanding high school and collegiate marching bands around the world. 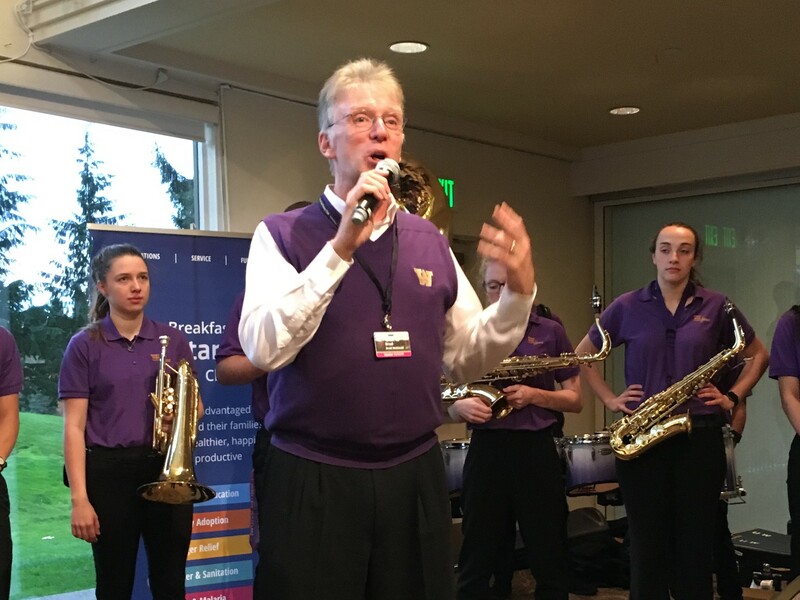 He is also the founder and director of the Washington All-State High School Marching Band. 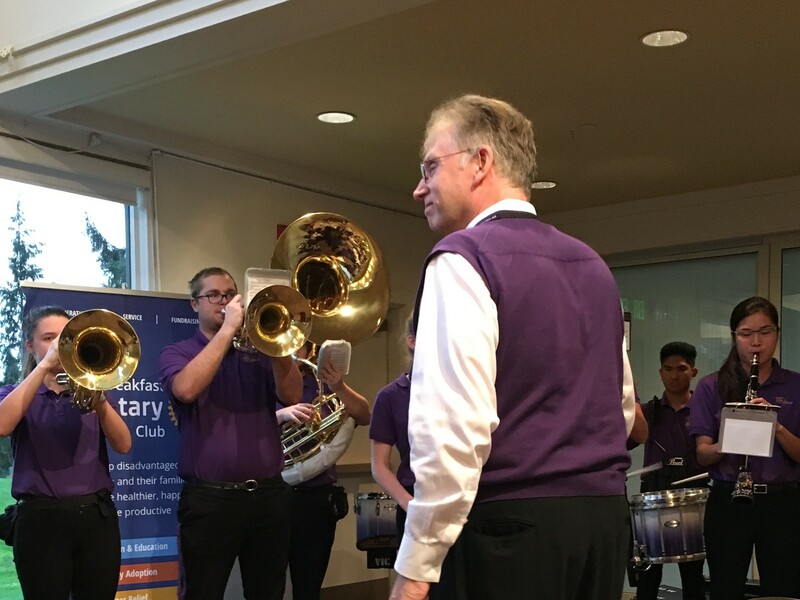 McDavid is also the co-author of the two-volume DVD instructional series, "The Marching Band Director’s Video Toolbox” (published by GIA Publications). 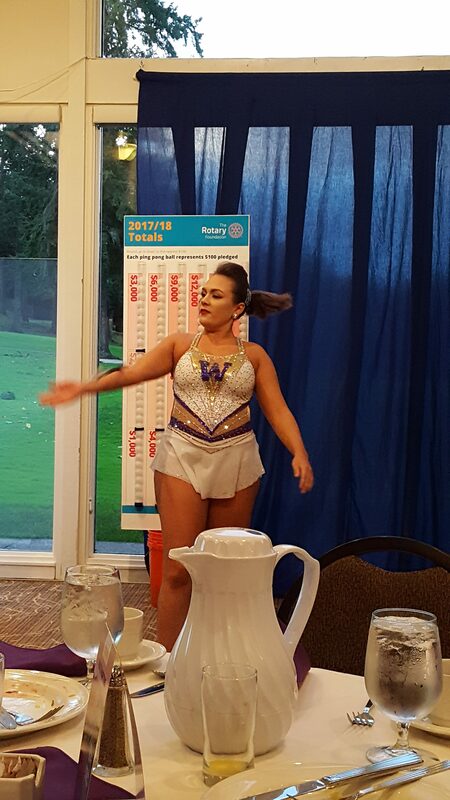 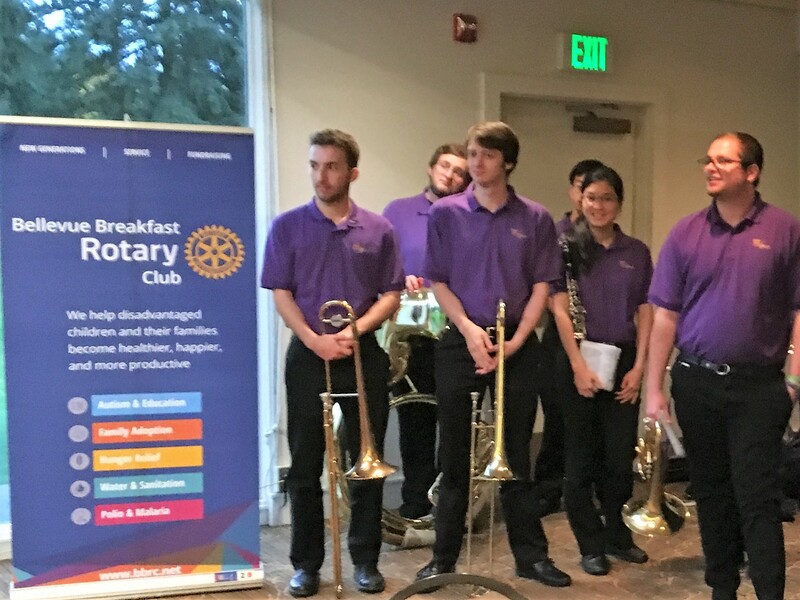 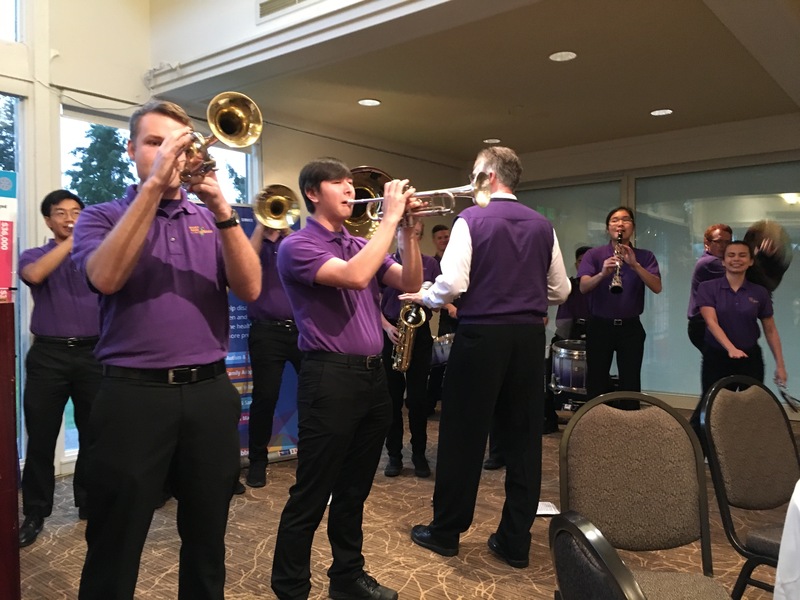 We were entertained with rousing music from the band, including the Husky fight song, coupled with anecdotes from the Dr. Brad McDavid and the band members. Our members also got an opportunity to ask lots of questions between sets, which made for an entertaining and interactive meeting this week.